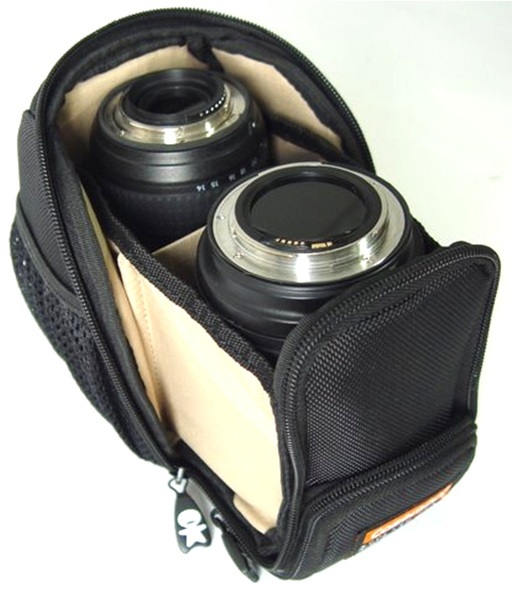 This design allows a one-handed lens exchange, ideal for busy photographers who need to switch out lenses as they work. 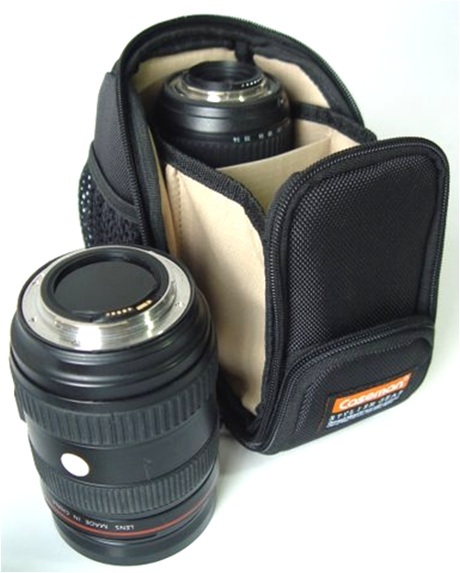 feature temporarily holds and separates the two lenses as the photographer detaches the working lens and grabs the second. 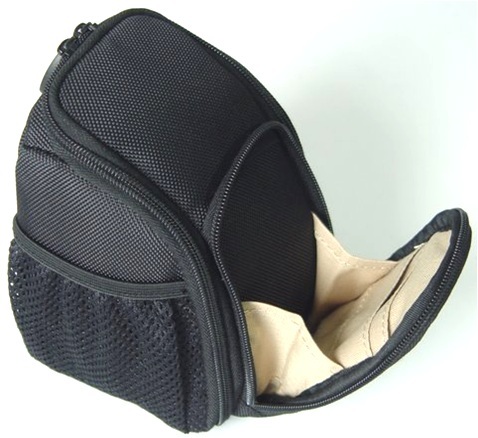 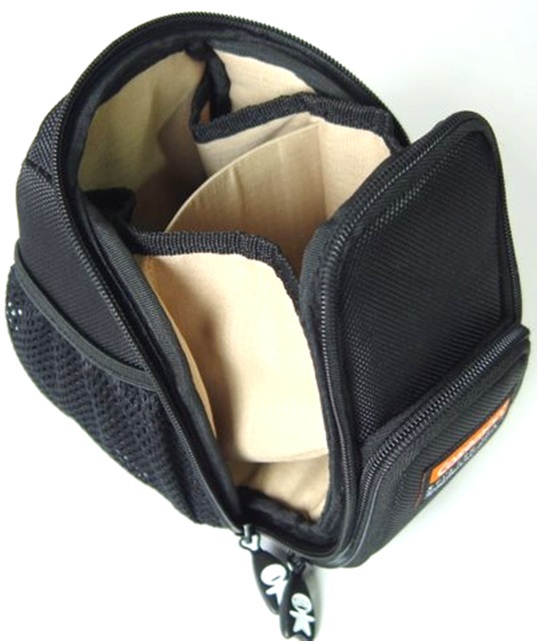 After the lenses are exchanged, the bag collapses back to a single-lens carrier. 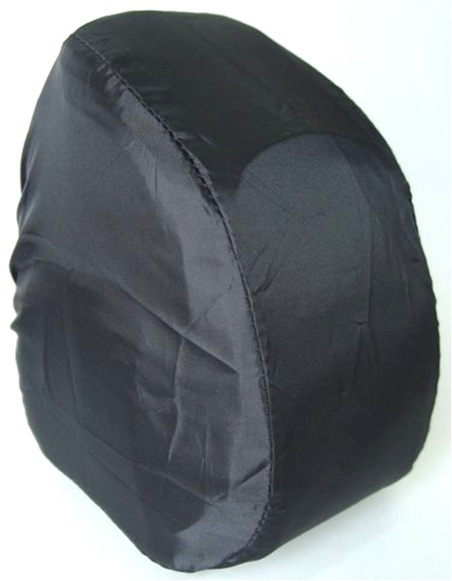 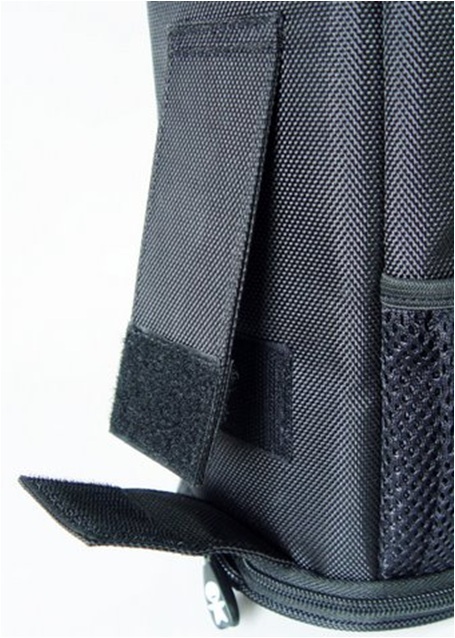 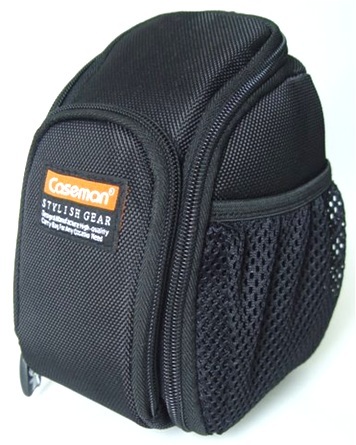 It includes zippered front pocket, and mesh pocket on each side.